CLEVELAND, Ohio — The Missoula Lady Bruins fell to the Monarch Coyotes of Louisville, Colorado, 5-2 in their opening game of the USA Hockey U19 National High School championship on Thursday at OBM Arena. The Coyotes took a 2-0 lead in the first period on a pair of goals from Brooklyn Hendrickson. The Lady Bruins struck back just 42 seconds into the second period on a goal by Elizabeth Jenni. Waverly Winterer assisted. Margaret Ronghaus, though, responded with a goal for the Coyotes, who led 3-1 after two periods. The Coyotes scored the first two goals of the third period — by Taylor Stevens and the third by Hendrickson — to extend their lead to 5-1. 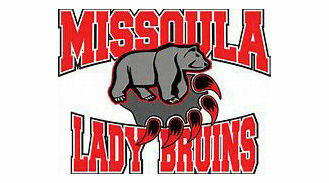 Shaye Ewing closed out the scoring for Missoula with a goal assisted by Dora McDougall. The Lady Bruins continue play in the six-team tournament when they face Team Texas on Friday at 10:30 a.m.